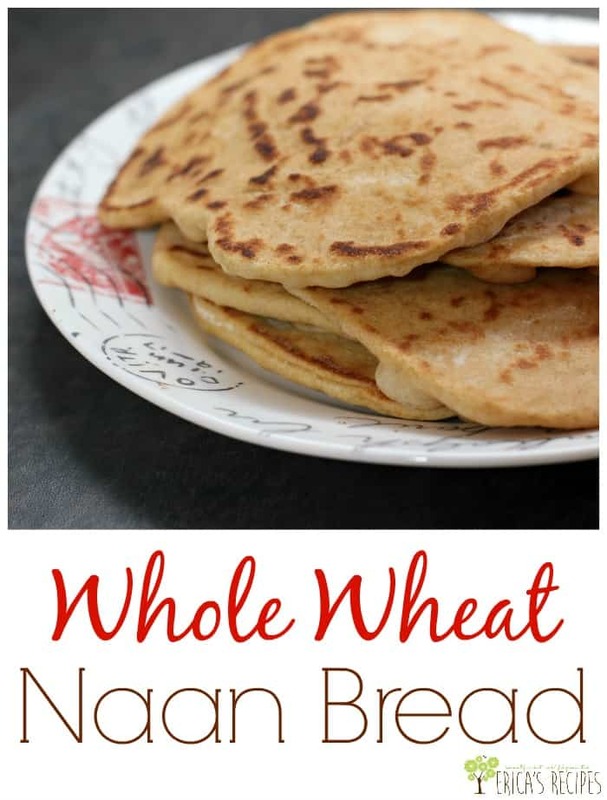 Whole Wheat Naan Bread is ridiculously easy to make (for bread), and SO tasty that you have to try it. Sop up all the juices with this delicious, healthful, tender flatbread. For dinner last night, we went to India with Chicken Makhani, turmeric basmati rice, and this delicious, pillowy naan bread. 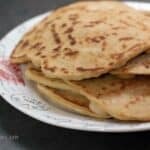 Naan bread is so easy to make and no Middle East- or Indian-inspired meal would be complete without it. I make mine using white whole wheat flour. White whole wheat flour is every bit as nutritious as regular whole wheat. It’s just made from a different strain of wheat and is naturally white, not bleached. I’ve fallen in love with it and am replacing all-purpose flour all over the place these days. Because it is whole wheat, it behaves like whole wheat in bread recipes, so to counter that potential density, I also add bread flour. 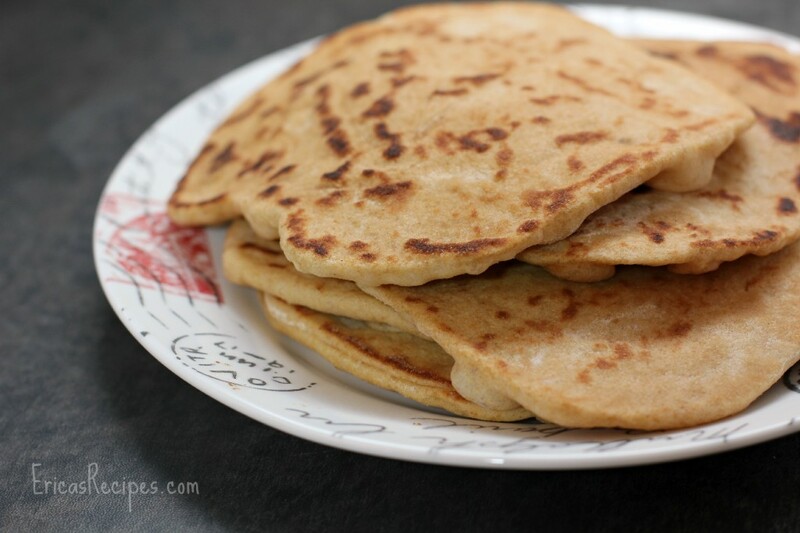 We love homemade bread, and making naan is an especially fun one to make with kids! In the bowl of a stand mixer fitted with a dough hook, add the milk, water, and yeast. Let the yeast proof 10 minutes. In a separate bowl, combine the flours, baking soda, baking powder, and salt. Once the yeast has proofed, add the yogurt (give it a quick zap in the microwave so it's not cold) and honey with the mixer stirring on the lowest setting. Add the flour mixture. Continue mixing 10 minutes to knead the dough. Remove the dough hook, cover bowl with a damp towel, and let the dough rise 1 hour in a warm place (Note: I preheat my oven for 2 minutes, turn off the heat, and then let my dough rise in there). 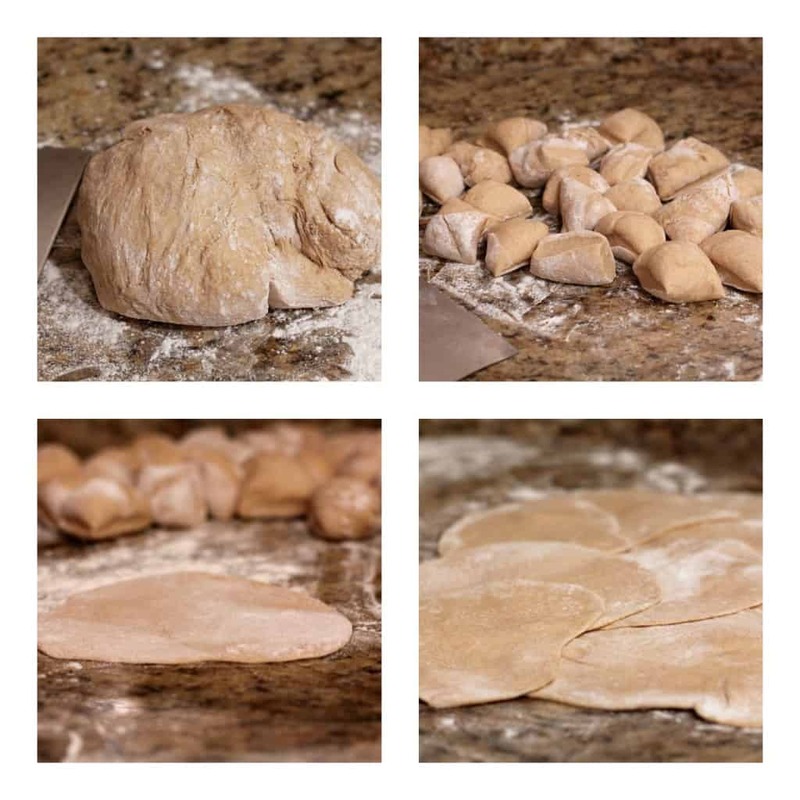 Turn dough out onto a lightly floured surface and cut into 24 pieces. Heat a large nonstick skillet on medium-high heat. Spray skillet with cooking spray. Roll out a piece of dough into a thin disk and put in the skillet. Spray the dough side that is up with cooking spray. Cook ~1-2 minutes per side until lightly browned and toasty on each side. Repeat for the remaining pieces of dough. 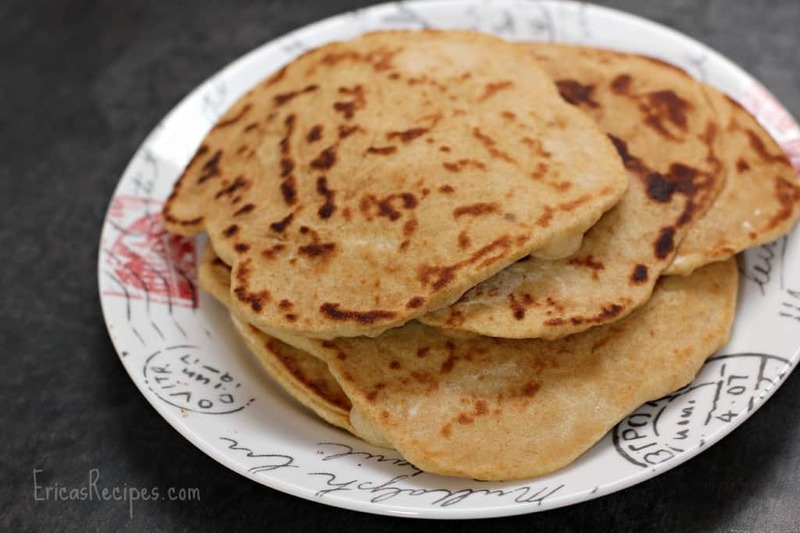 I love naan, but never thought to make it at home. Pinning. Love this recipe! I am currently on Weight Watchers and love naan bread. Store-bought naan is 6 to 8 WW points. This recipe, when divided into 16 servings, makes it 3 points! I make a batch every weekend. My favorite recipe is to bake the naan with hummus and veggies for a 5 point hummus pizza! Delicious and easy breakfast or lunch. New to making breads and tortillas etc so my apologies if this is an obvious question but could I sub bread flour for whole wheat pastry flour? I don’t have any bread flour and don’t have time to get to the store before I need to make this yummy recipe! Thanks! !